The Democratic Republic of Congo (DRC) is the largest country in sub-Saharan Africa with 2,345,000 square km. In spite of its large area, the DRC has only 40km of coastline on its far western region along the Atlantic sea. Fewer than 40 percent of the nearly 77 million inhabitants live in urban areas. 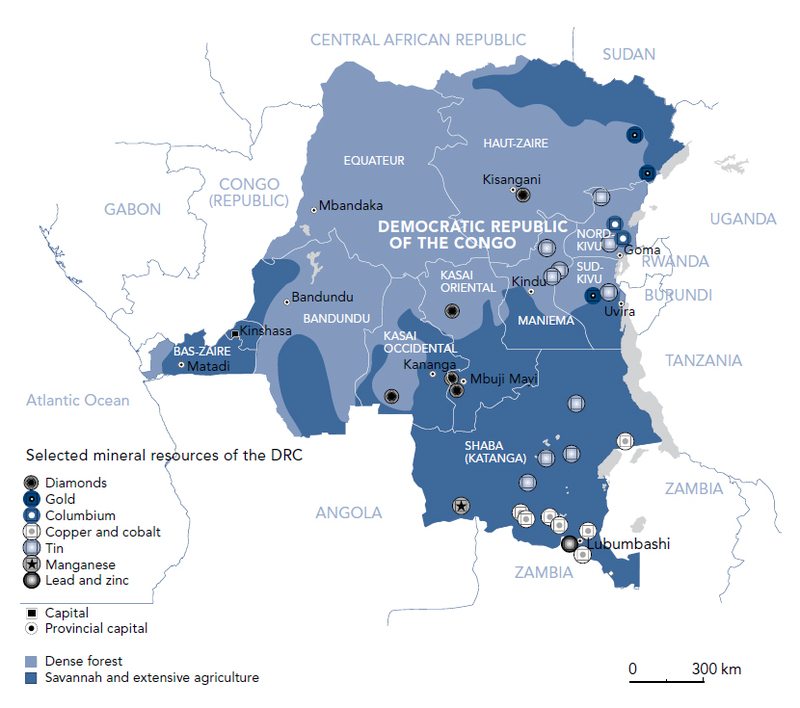 With 80 million hectares of arable land and over 1,100 minerals and precious metals identified, the DRC has the potential to become one of the richest economies on the African continent and a driver of African growth. Natural resources in DRC are immense. Copper, tin, silver, uranium, cobalt, manganese, germanium, tungsten and coal are mined on the Southern part of the country, mainly in the Katanga region. Diamonds are essentially found in the Kasai region. Tin, columbite, iron ore and gold are found in the East region. The network of waterway is naturally navigable with approximately 1,600 km of navigable waterway on the Congo river. The Kasai river, a tributary of the Congo river, is navigable from Ilebo, the end point of the National railway line south corridor from Sakania (border with Zambia), to Kinshasa. The country boosts approximately 13,700 km of inland waterway. The Congo river carries the second largest volume of water among all the rivers in the world with an average flow to its mounth of 40,000 cubic meters per second. There are enormous possibilities for power generation. Despite the vast natural potential, poverty rate in DRC remains unreasonably high. The country is among the poorest countries in the world and was ranked 176 out of 187 countries on the latest United Nations Human Development Index (2015).